Scandinavian countries Sweden, Denmark, Norway have given the world some of the best children's literature. Books such as "Pippi Longstocking", "The Moomins" and "The wonderful adventures of Nils" have gained wide readership around the world; Hans Christian Andersen's "Little Mermaid" does not even require an introduction. Here is an intro to three of the most popular books from Scandinavia. One fine spring morning in Stockholm, Karlsson shows up on the windowsill of Lillebror (which in Swedish means "little brother"). Lillebror, who is lonely and doesn't have any playmates, warms up to mischievous Karlsson in a heartbeat. 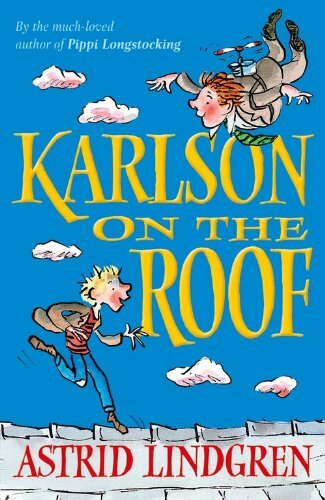 Together they have a series of adventures: running on the roofs, scaring thieves, stealing buns from a stern nanny-housekeeper Freken Bok. Except Karlsson is elusive when it comes to being introduced to the Boy's parents and always flies away. Did I mention that he has a little propeller on his back which allows him to fly? He lives behind the chimney in a little house on top of an apartment building sparsey decorated with his drawings. Karlsson makes hot chocolate by the fireside and likes to pretend he is sick to make Lillebror prepare him medicinal concoction out of cookies, candies and lollipops. This book is not as famous in the West as Pippi Longstocking but it has the same type of refreshing humour, eccentricity, joy and the childlike interpretation of events for which Astrid Lindgren was famous. According to reviews of this particular edition, this is not the best, but the reviews of the story itself, of the whimsical fantastical reality gets the glowing recommendations. People are mad that there are not enough of these books published! 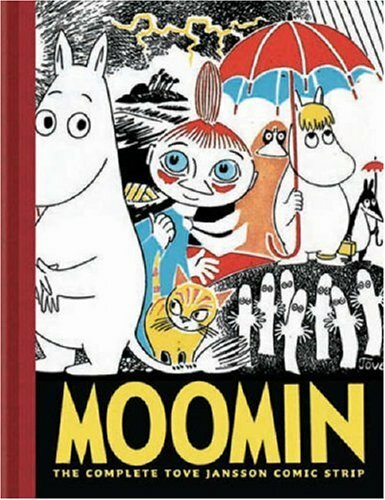 Written by Swedish-Finn writer Tove Jansson, the Moomins have become extremely popular throughout the world. The Moomin family consists of Moominpappa, Moominmamma and their son - the Moomintroll. These white fluffy animals live in the idyllic valley with hills and a river. There is also a group of various creatures that have quirky names and habits who occasionally visit the Moominfamily or live nearby. In winter, the Moomins hibernate, and in the summer they have various adventures. Despite having a slew of fairy tale-like creatures, fun activities and eccentric characters, the books are also filled with nostalgia, melancholy and philosophical musings, making it a pleasurable read for both kids and their parents. Originally commissioned by the National Teachers Association in 1902 for public schools, this book was meant for children to learn about geography, historical provinces and the legends of Sweden. But it encompasses so much more than that. This is easily the story of coming of age and it is so popular that it makes to the list of "100 books of the century" by the French newspaper Le Monde. Nils is a lazy mischievous boy who is only interested in eating, sleeping and torturing animals on the farm. He is punished by a tiny gnome and rapidly shrinks in size. Nils becomes so tiny that he can easily fit into a pocket but he also gains an ability to understand animals' language. Together with the domestic goose Martin, he flies with a pack of wild geese all around Sweden, learning and maturing along the way. He comes back home a changed boy, transformed and humble. The book is full of Swedish folklore and wonderful legends. These three authors have written many other wonderful stories that would make a pleasurable and fun read for both children and adults.